Join us for a day of celebrating spring time with an array of activities. From traditional maypole dancing to a dog show! We have something for everyone. 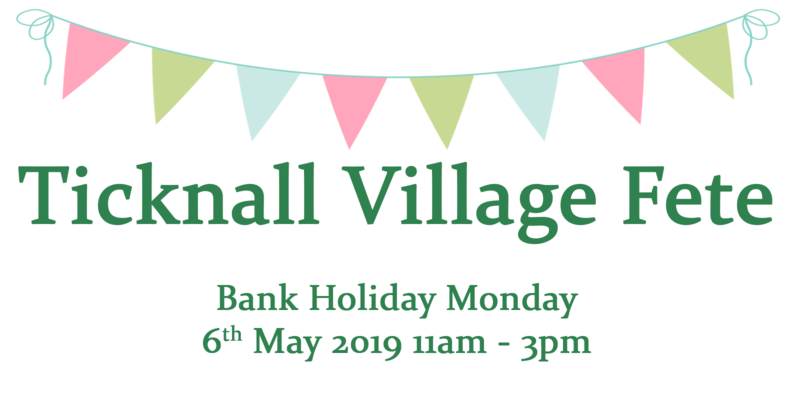 Celebrating with us will be local vendors and community groups making it a true village event! Dog show registration commences at 12noon, with the show staring at 2:00pm. We have lots of categories so bring your canine friend along for the chance to be a winner! Come and talk to us during our latest open day / evening Monday 3rd December, 2018 2-7pm. 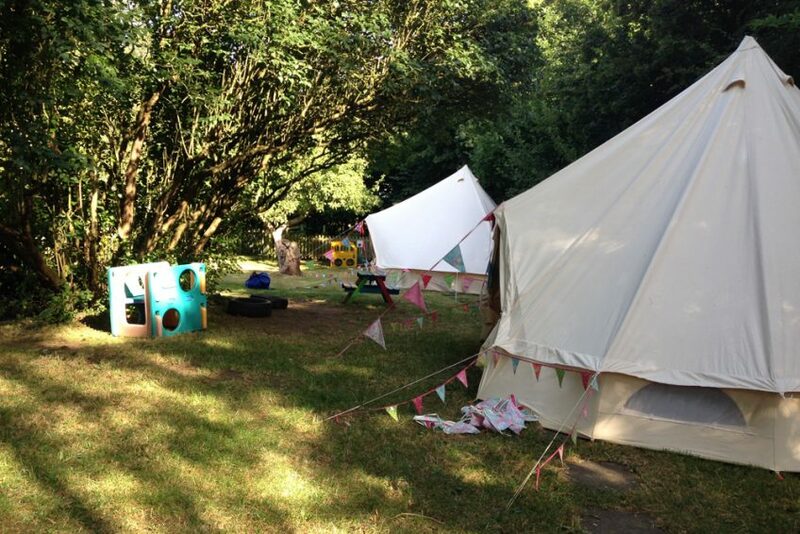 We offer a child-centred curriculum in small classes with non-testing assessment (no SATs). 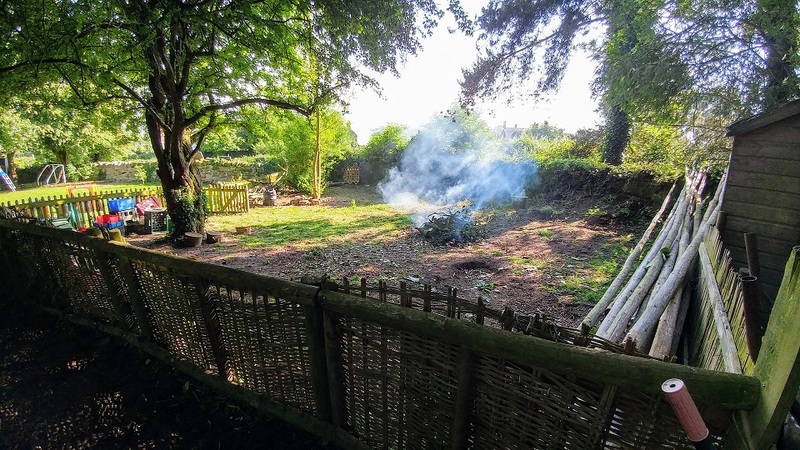 Our rural site in the village of Ticknall provides quality time learning and playing outdoors, as well as boundless opportunities to learn through exploration. With full and part time attendance models; support for home schoolers and up to 30 hours of funded nursery provision, we might be right for you and your child. The open day / evening takes place on Monday 3rd December, 2 – 7pm. My 8-year-old daughter, Ava, joined Dame Catherine’s in September 2017, attending their home educator sessions on Tuesdays and Thursdays. 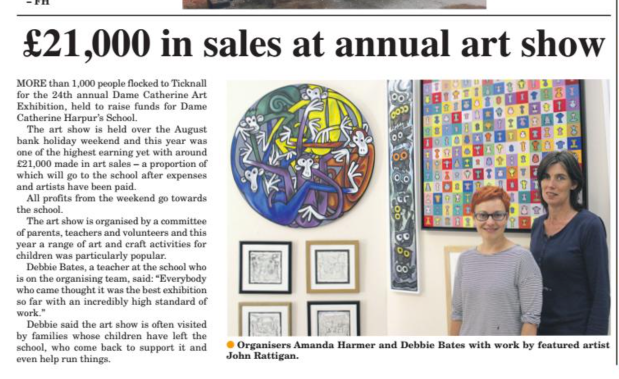 Prior to this she was at small state primary school and has just finished KS1. What these simple statements don’t convey is the enormity of making such a leap of faith; I always thought it was the right change to make, but a year later I can now write about our experiences, with absolute conviction – it was the right decision. I’ll keep the whys and wherefores brief as we all have our own educational philosophies. This is not a lecture on how to live your life, or that of your child, it’s more a call to arms if you have any uncertainty about the education your child is currently receiving; to show that there are many ways for a child to engage with education. To be clear – I have no complaints about my daughter’s previous school, within the constraints of current systems and ideologies they did their very best and my daughter was happy there. Yet having trained as a primary school teacher and more recently having worked at a secondary school I have always had my doubts about whether Ava was receiving the best possible educational experience or not. Having also worked in mental health services for over 10 years my viewpoint is far more holistic than perhaps it used to be. That said I never felt a burning desire to home educate completely, I have always believed that schools offer lots of positive experiences and opportunities; I just didn’t want this 5 days a week for Ava. I also liked the idea of having some input into Ava’s formal education and to be able to share in the wonder of learning alongside her. I came across DCHS through an internet search, divine intervention you might say, potentially the missing piece of the puzzle for us as a family. The website held a mirror up to my doubts and I just had to see for myself. So in the summer of 2017 I visited and fell in love with the place, I could write endlessly about all the reasons why, (starting with the warmest reception I’ve ever received when visiting a school) teachers who are allowed to teach, children who are encouraged to be children, topics and activities that inspire, an ethos that nurtures and celebrates individuality and a sense of flexibility that is sadly lacking in so many educational settings. Academic arguments aside it came down to a gut feeling that is so hard to put into words but I just knew this was where I wanted Ava to be. Incidentally we live over an hour away from DCHS, the travelling is worth it as there is nowhere else that offers this unique educational environment. A year on, I have a very different daughter, she has grown in ways that I could never have anticipated. The confidence she has begun to develop and the peace that she emanates are of immeasurable value, those are the traits that will underpin all her future achievements, academic or otherwise; those are the parts of the puzzle that I now realise were lacking in the state system. Ava is valued for who she is, not berated for what she has yet to master, she is treated with kindness and respect and is HAPPY, who could ask for more? 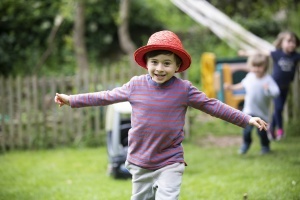 Making the right choice of nursery or school is a massive step for any parent. The decision to send my son Luciano to Dame Catherine’s however was one of the easiest things we have done so far. 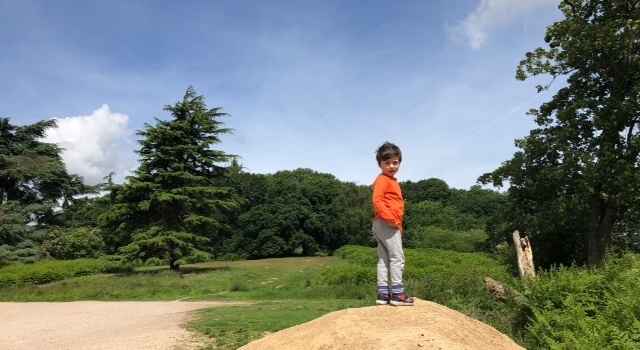 Luciano started nursery with Fay as soon as he turned 3 years old and lucky for him being a September baby he has been able to access two full years at Nursery. He loves it so much and we are happy in the knowledge that he is not only relishing every minute he is there but also that he is constantly learning and engaging. His vocabulary is amazing and he is continually being challenged through constructive play and experiential learning. Classes are small so he has so much time with Fay to support his learning and to ensure he is progressing and developing. Sessions are structured but informal so learning is fun! Science becomes experiments with thermometers, magnets and insect hunts. Growing their own potatoes each year shows them how nature works and they get the rewards of eating the harvest! 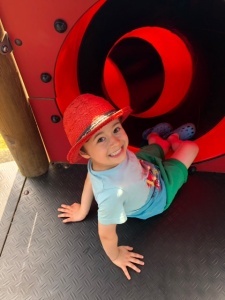 Luciano loved a television programme called ‘Number Blocks’ and Fay made him his very own characters out of connecting colour coordinated blocks that included eyes and he would play with his number blocks at nursery everyday. I don’t know if anyone else would do that, cater specifically so much for one child, giving so much time and effort, she is amazing. 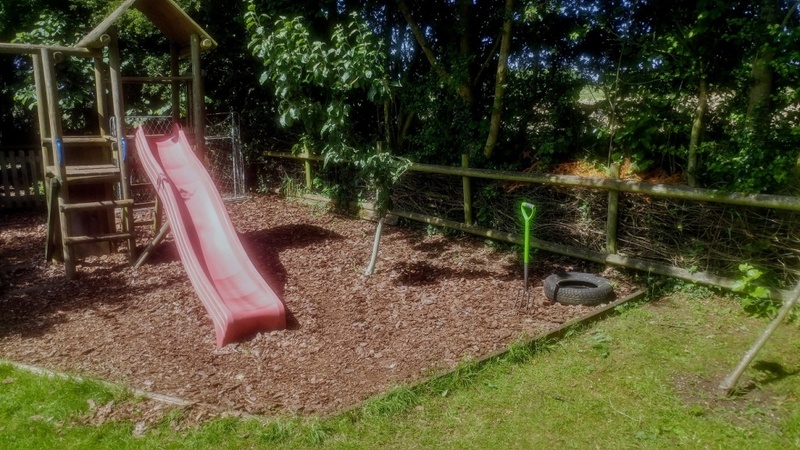 The village setting of the school also makes it very special with the garden to play in, equipped with its very own ‘mud kitchen’, slides and climbing frames. 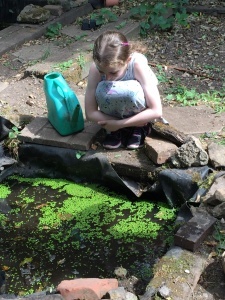 We really love the fact that the links with nature are encouraged and that learning is flexible and responsive, which means that every child is catered for and allowed to progress at their own pace. We would say that Luciano is ahead of where we thought he would be before starting school. He loves his numbers, he is inquisitive, confident, engaging, sociable but most of all happy. We can’t wait until our little girl is able to start nursery next year. She already loves it very much and we struggle to bring her home when we drop my son off. We are so happy and pleased that we made the best decision, to allow our son to grow, be happy and enjoy these precious first years. Various dates available between 6-24th August – see website for availability. …and every day has hole digging, muddy kitchen, den-building and running around! 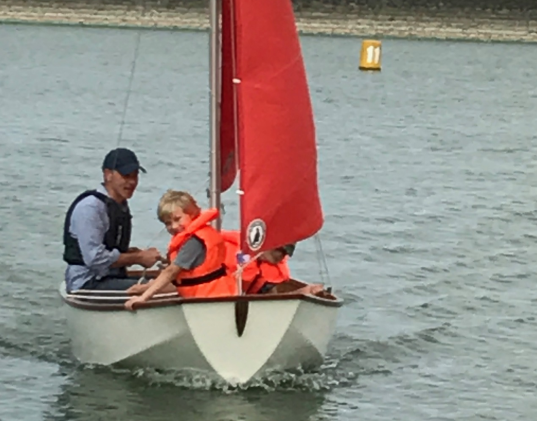 Sessions run from 9am-4pm and cost £22 with discounts for siblings (10%) and those booking 5 days or more (5%) – (discount codes available to be used at checkout). Payment by childcare vouchers is available, please email at office@damecatherines.org us so that we can invoice you. If you are interesting in booking, then either e-mail the office (above), unfortunately we are unable to process online bookings at this time. 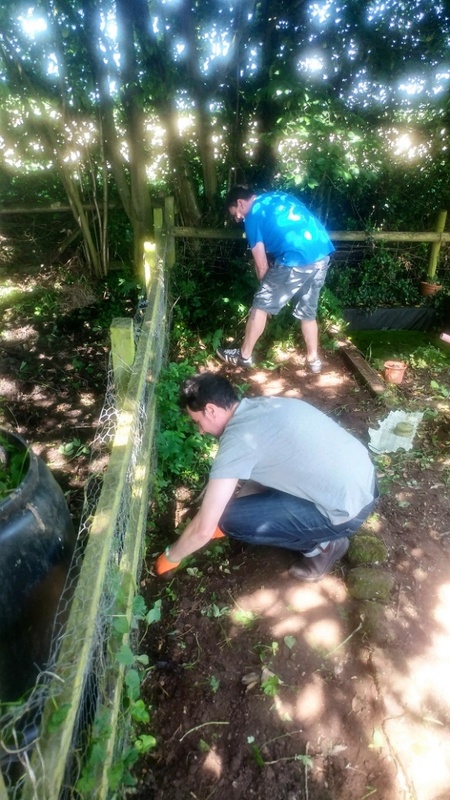 A big thank you to everyone who turned out to the gardening day today. 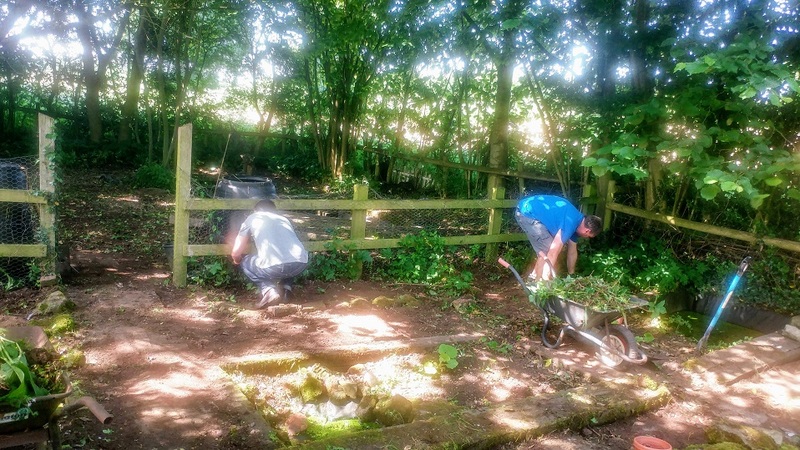 A huge effort was made by all to get all areas of the garden cleared, tidied and ready for the pupils to enjoy the summer days in! The vegetable patch being cleared out. 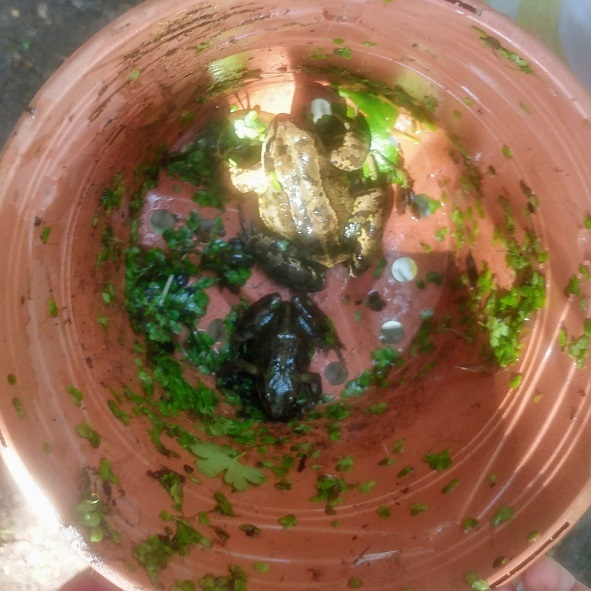 There was greenery growing in there but you won’t want to eat it! Slide and climb is all clear! 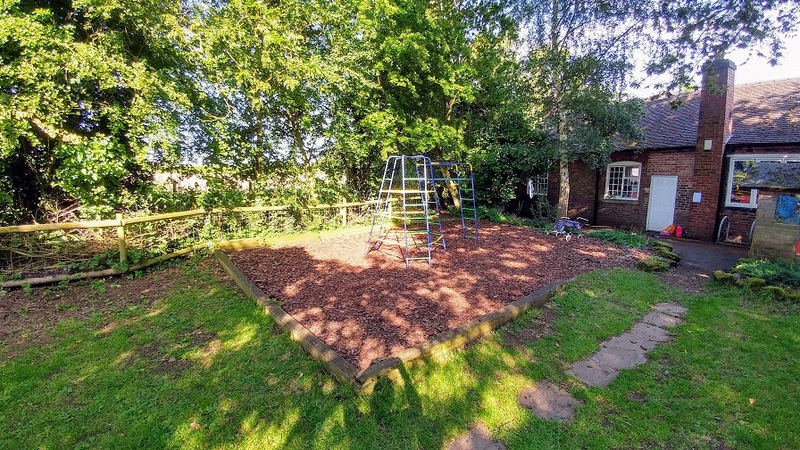 Climbing frame area is all clear too! 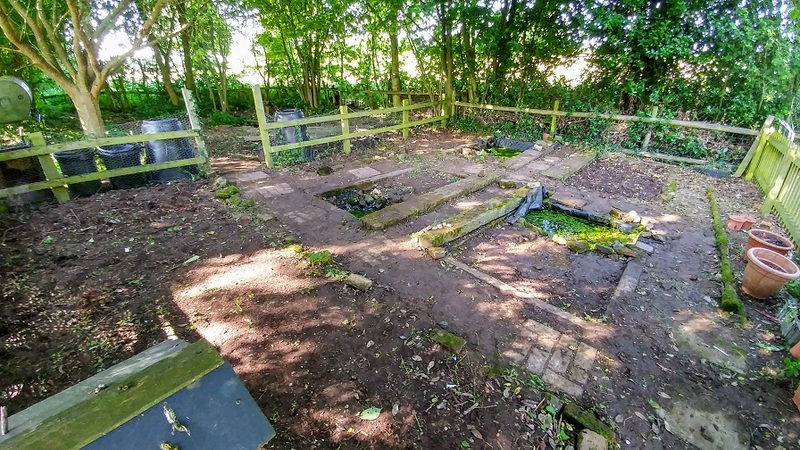 The mud kitchen and wildlife area are also tidy. With a smoke message to signal success! 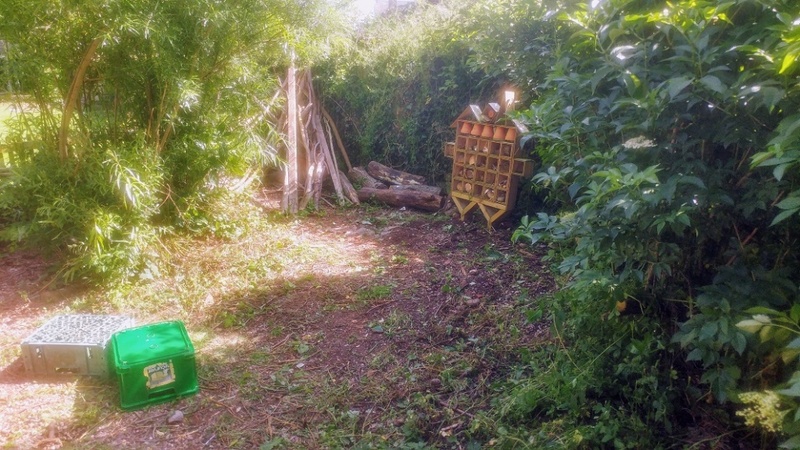 The bug hotel in all its glory! Around the ponds and the veg plots are also clear. Which these guys will be happy about! Welcome to the JUNGLE – School Disco Night! Welcome to the JUNGLE – Disco Night! There will be food and soft drinks (included in the ticket price) and an animal themed fancy dress – so dust off those elephant ears and tiger claws! Also, there will be a raffle and treats to buy. Tickets are £5 per person and can be bought on the night. We hope to see you there with all family and friends welcome. Ceilidh – A family-friendly night of Scottish dancing! Saturday 16th June 2018 – 7pm – til late Ticknall Village Hall, Ticknall. So# drinks and light refreshments available on the night, bring your own bottle. Email or phone – see our Contact Us page for more details! Free Stay and Play Session: Saturday 30th June 2018 10:30am – 12:30pm. 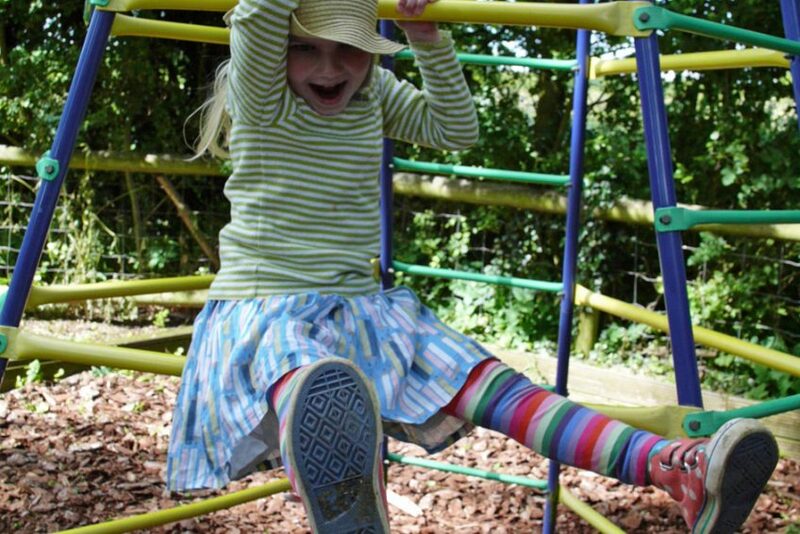 We would like to invite under 5’s and their carers to come and explore our fantastic nursery and garden – for free! 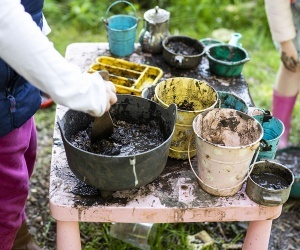 During this two hour session, your child will experience our fun, engaging and nurturing nursery, take part in lots of messy play, and undertake some forest school activities outside. This is a great way to not only sample our nursery, but to also meet new friends, and enjoy a cup of tea and slice of cake! We like to keep our class sizes small, so booking is essential. Please see our Nursery page for more information about the services offered. At Dame Catherine Harpur’s Nursery our maximum class size is 8. This small, friendly and nurturing environment supports all our children to develop into confident, independent learners. Sessions run from 9am – 4pm (full day or morning/afternoon sessions available), with wrap-around care available from 8am – 5pm. We accept Government nursery vouchers for up to 30 hours of free childcare. Join us for a morning and see what we have to offer. During the open day, there will be a range of activities for children to try and examples of pupils work to give you an idea of what we do at the school. 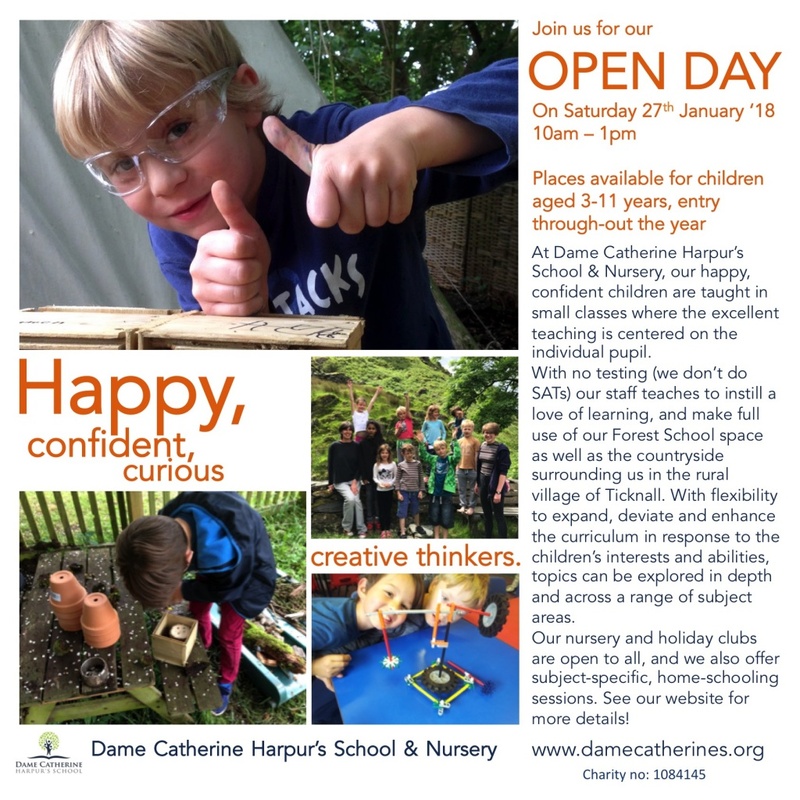 We welcome you to join us to find out more about school places, home-school sessions and nursery funding – or just pop in for a cup of tea, a slice of cake and a look around our lovely school. There will also be the opportunity to talk to parents, staff and governors, and to meet current pupils in the environment that they love to learn in. For directions, or any other information please don’t hesitate to contact us via the website or on 01332 862792. The job that comes up once ever 18 years! We are a small independent school and nursery where the focus is on teaching our children to love learning, and not how to pass a test. With our flexible approach, we want the right person for the job… could that be you? 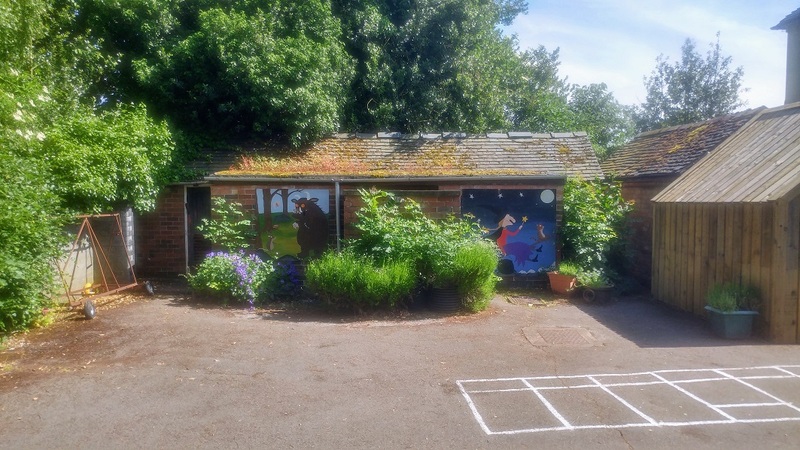 After 18 years in post, our current Headteacher is retiring and we are looking to hire someone who is passionate about teaching to work with us to continue to develop our ethos and approach. Our teachers have the freedom to creatively deliver the curriculum in ways that they feel best suit and engage our children; with the opportunity to conceive cross-subject projects, include outdoor learning and develop lessons in response to the children’s ideas, suggestions and interests. Our unique approach has evolved over the last 30 years, taking influence from a range of teaching practices and ideologies. Fundamental to our ethos is the belief that learning is for life; that it should be fun, engaging and accessible to all. We want every child to be the best that they can be but we don’t need to test them to understand how they are progressing – with maximum class sizes of 15, we know all our children and they know us. We need someone to help us with the challenges of meeting Ofsted that face a small school, whilst acknowledging, and maintaining the good quality of teaching. As headteacher, you will guide and influence the academic direction of the school, as well as work with your team of 4 to deliver teaching in the classroom on a day-to- day basis. 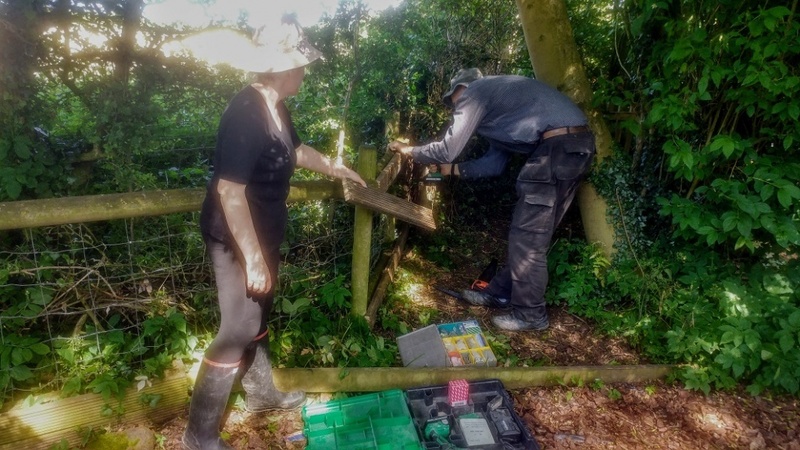 Supported by the SMT and governors, you will be involved in the administrative and business side of the school, as well as getting your hands dirty in the garden and model-making at golden time. 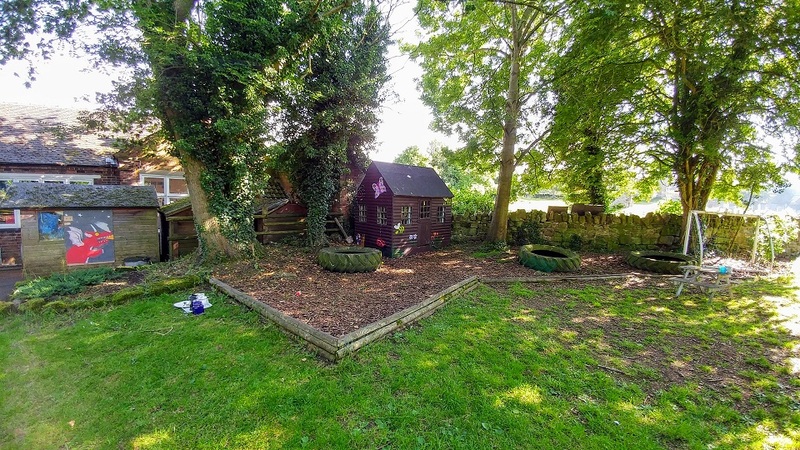 Based in the rural village of Ticknall, South Derbyshire, we have the countryside on our doorstep, yet are within commuting distance of Derby, Leicester, Birmingham and Nottingham. 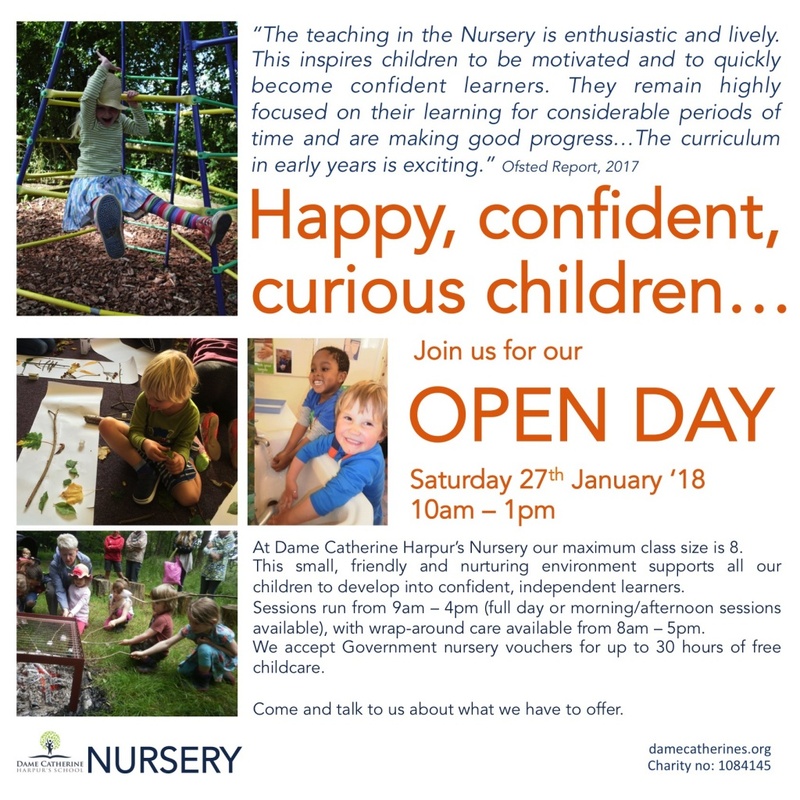 Our next open day will be Saturday 27th January, 10-1pm. At Dame Catherine’s we believe every child has potential, and has something to learn and teach others in their class. We don’t group by ability, instead, children work to their own pace and abilities within our KS1 (4-7) and KS2 (7-11) classes. We also don’t do SAT tests because we believe that learning is a journey and not something you can easily put a number on. Of course, this means our pupils do not have the stress of performing to a test so we have a happy and meaningful classroom experience which values creativity and curiosity. Please feel free to come along to see the school, meet parents, teachers and pupils. Both the nursery and school will be open. No booking necessary, please just come along. For directions, or any questions, please contact us. We are Otto (5), Rich and Marije. 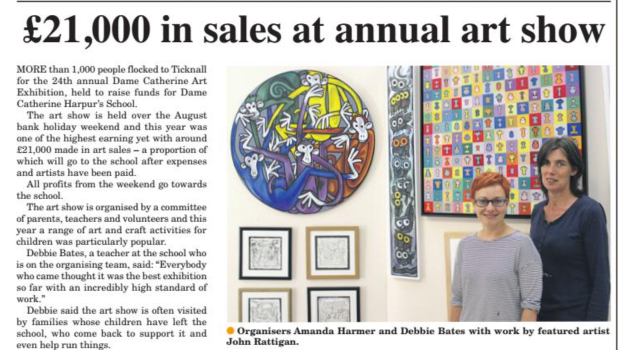 We moved to this area in spring 2016 for our own studies, but a great benefit was to be close to Dame Catherine Harpur’s School. Under 5’s and their carers welcome to join us for a stay and play session…with the option of joining the school for their annual Christmas lunch in the village hall (12-1pm). Parents and siblings very welcome! Parents can use childcare vouchers for up to 5 sessions and, for those eligible, we do accept Early Years Funding up to 30 hours (or 10 sessions). Our core hours are 9am – 4pm but nursery children can access our breakfast club from 8am, as well as some after school activities – please talk to us about your requirements! We have some availability starting in January, so if you’d like to pop in, meet our nursery teacher Fay and spend an hour or so playing to find out what we do then please do join us. We offer small class sizes (max. 8) which are nurturing, friendly and the perfect introduction to life outside of the home. 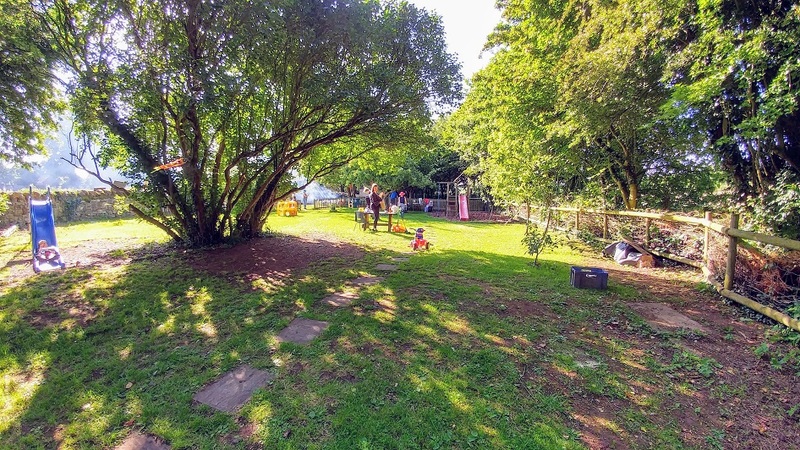 As well as indoor play, the nursery also have use of our garden and Forest School space, as well as their own external space for free-flow learning and activities in the warmer months. You can read about other parent’s experiences on our website, or contact us for a chat. “Many teachers think children are aware of their group, and they are concerned about the detrimental impact of being labelled on children’s self-confidence and behaviour, and about the production of limits on children’s learning,” it says. “There were concerns raised that this could have a potentially negative impact upon some children’s mental health. To find out more, please contact us to arrange a visit, or get the prospectus. We are both design professionals and involved in teaching at University level. We see first-hand the increasing levels of anxiety and mental-health issues experienced by students who have come through an education system set up to teach pupils to pass exams, and not to think for themselves. The concept of learning through trying, and doing; where failing is an important part of the process, and where having confidence in yourself is key, students are worryingly ill-prepared. We were therefore really excited to find Dame Catherine’s, and signed our son up when he was 2. He joined nursery with Fay when he was 3 on a part-time basis as he was already established in another setting. He had become increasingly unhappy as the environment got noisier, bigger and more disciplined – with a strong reluctance to go in the morning, but we were unsure how he would settle in. We needn’t have worried. Fay is amazing with the children. 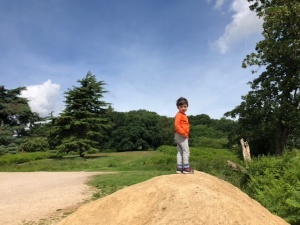 The small class setting is nurturing and familiar, and allows the children to develop as individuals – Fay would often respond to topics/activities that we had been doing at home and work on, and develop them at nursery. We went from two mornings a week to a full week within the first term as our son was enjoying his time there and wanted more. He’s moved from there through class one (KS1) with Margaret and has now started class 2 (KS2) with Deb…and he’s continued to be a happy little boy. When asked ‘is it school today?’, the answer ‘no’ is not met with delight, but with dismay. 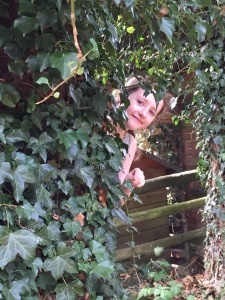 When it’s home time, we are often still standing outside in the garden at 5pm as he wants to stay and play with his friends. School is seen as a positive experience, not an anxious one. The teachers follow, and deliver, the curriculum but have flexibility with the classroom to expand, develop and explore topics in greater detail. They can respond to the children’s interest and engagement and maximise the learning experience by looking at subjects across a range of activities. No subject is withdrawn because time needs to be devoted to practising for SATs, but children are assessed and as parents we have a clear idea of how they are progressing against the learning outcomes…but without the pressure to ‘perform’. We have had two children go through Dame Catherine’s Nursery and School. It was a big decision initially to ‘step out of the box’ of sending them to the local mainstream school, to a very small independent school. But the lure of no formal testing, small class sizes, no homework, and the family orientated environment was a huge influence in our decision.